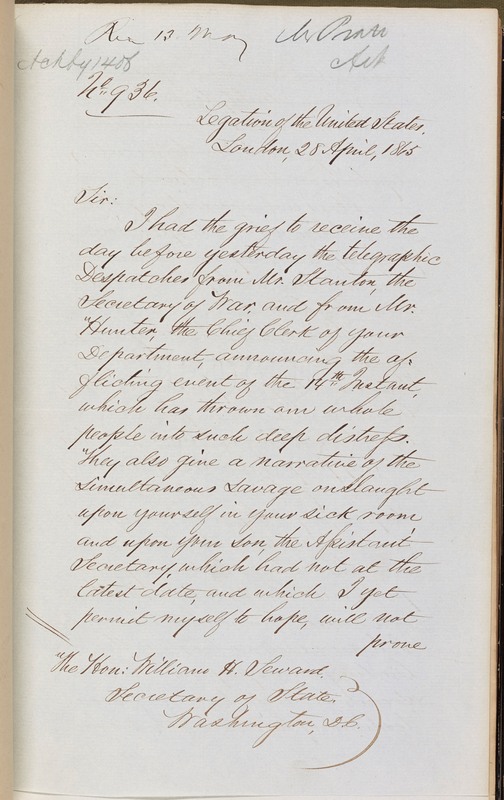 Official dispatch from Charles Francis Adams, U.S. Minister to the United Kingdom, to William H. Seward, Secretary of State, acknowledging receipt of the news of the attacks upon Seward and President Abraham Lincoln, and discussing reaction in London. Secretary of War, and from Mr.
people into such deep distress. prove fatal to either you. one of the greatest excitements. sent me notes of the same tenor. of a most honorable character.